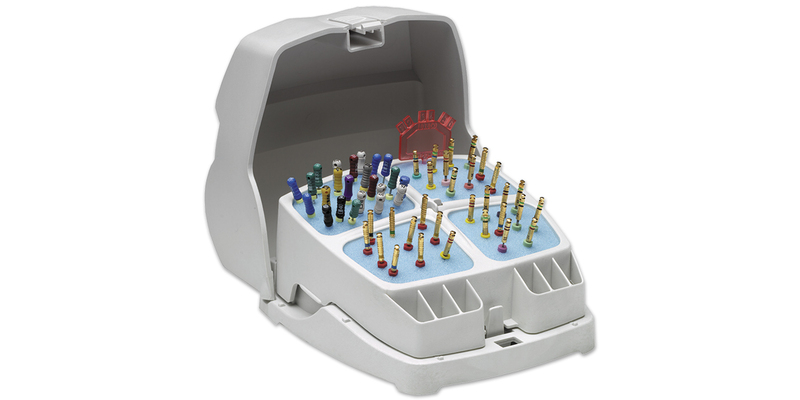 Bulk storage solution for endodontic files with four compartments to organize files by size or length. Foam insert and self-locking lid securely hold files for steam autoclaving. Contains: 1 FileCaddy assembly, 12 foam inserts (6 blue, 6 yellow).